I’ve loved to read for as long as I can remember. 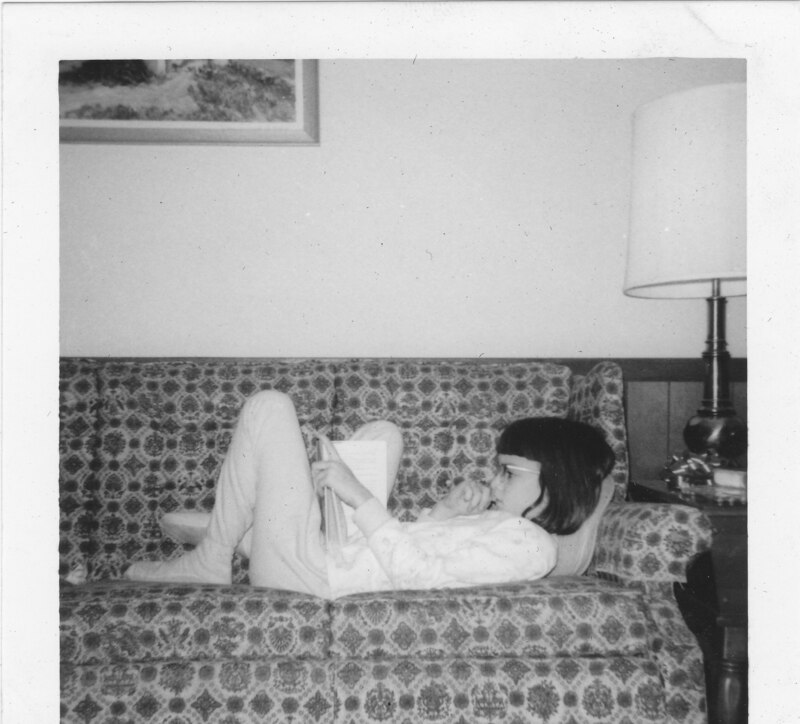 When I was nine or ten, I decided that if reading books was so much fun, writing my own stories would be even better. In a few months my 30th title will be published! That’s me, lost in a book. People often ask if my editors at American Girl tell me what to write. No, they don’t. Although I work with a great team of people who help make each book the best it can be, I make up my own stories. I decide what my characters should do. 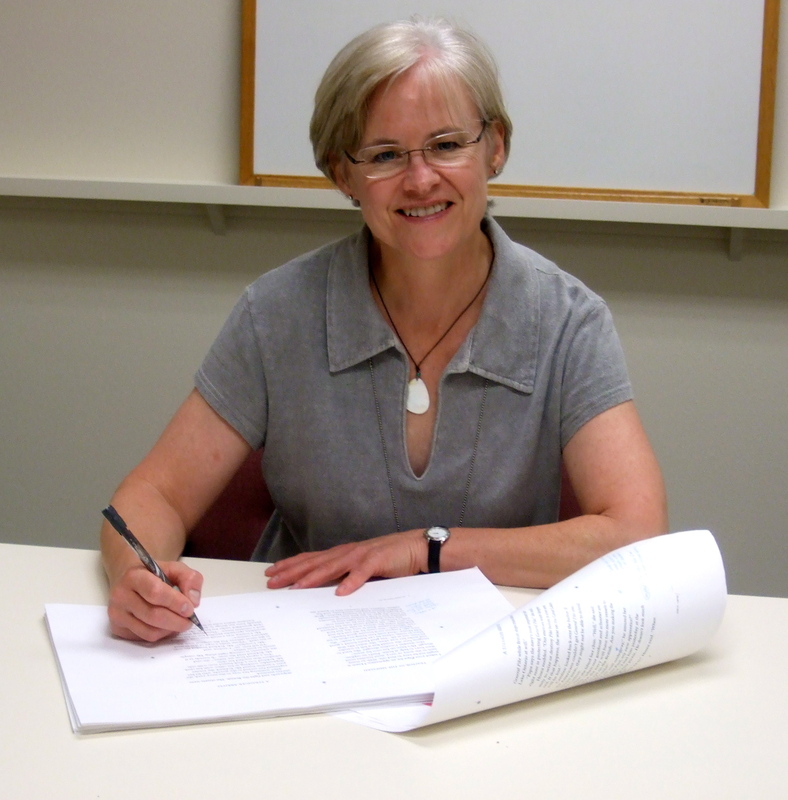 Here’s Peg Ross, my editor, making notes on one of my manuscripts. Until now, that is. Catch The Wind: My Journey With Caroline offers many opportunities for you to decide what the characters should do! Imagine yourself transported back to Sackets Harbor during the War of 1812. Would you want to leave at once, or would you stay a while? If you saw an enemy ship, would you give chase or go for help? If your best friend was going on a raid, would you tag along or decide it was too dangerous? In Catch The Wind, you get to decide all of those things—and make lots more choices too. When you finish the book, you might even want to go back and see what happens if you make different choices. Catch The Wind was the first Choose Your Own Adventure story I’ve ever written. I drew diagrams to help keep everything straight. 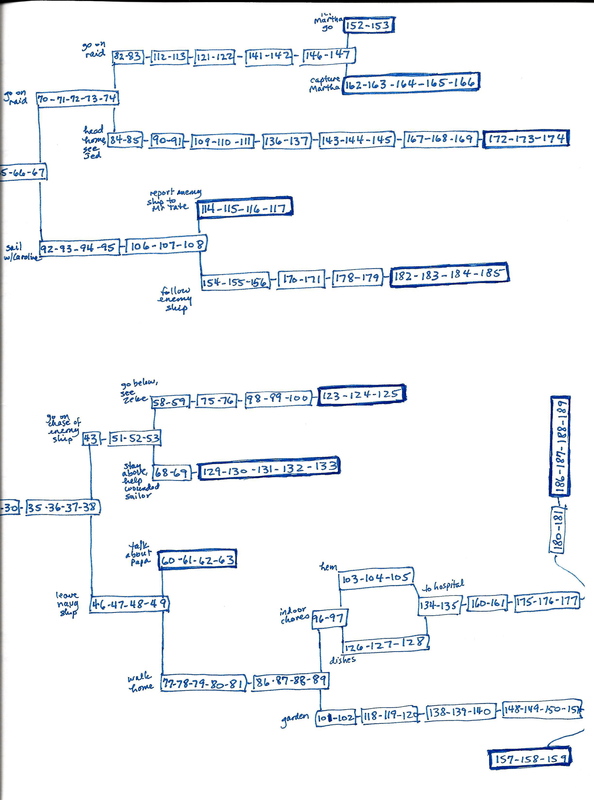 Here’s one of my early diagrams. The numbers refer to different scenes. 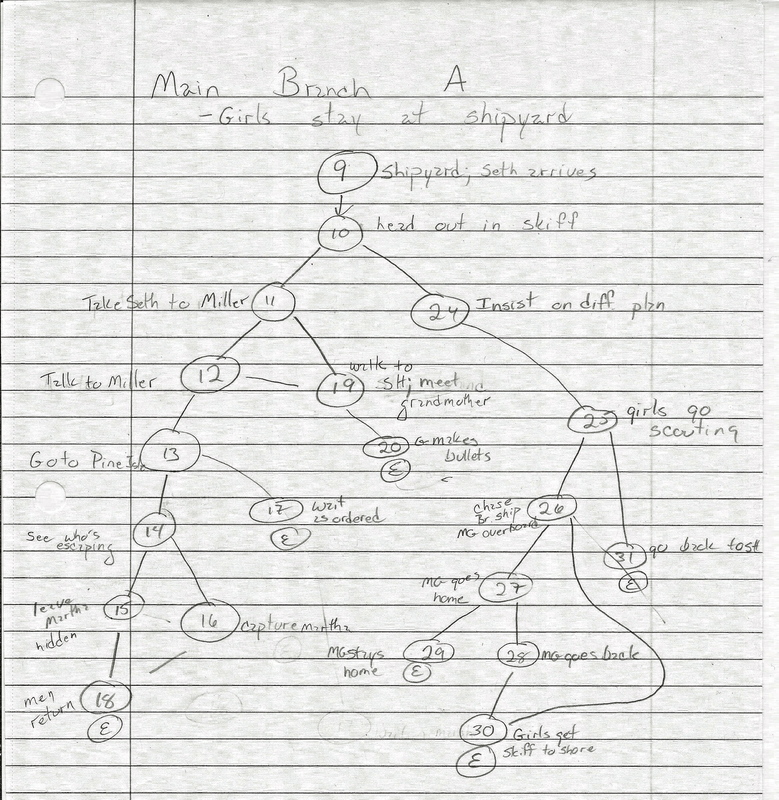 Here’s part of the graphic organizer my editor made to help us make sure the story flowed properly. I loved having the opportunity to explore lots of plot ideas and possibilities. I was able to include some situations I didn’t have room to include in the original Caroline stories. So settle down with the book, and settle in for an adventure that has lots of twists and turns. It’s all up to you! I’ve been curious about the past ever since I was a little girl. I read lots of historical novels. When my family visited historic sites, I imagined myself living there long ago. 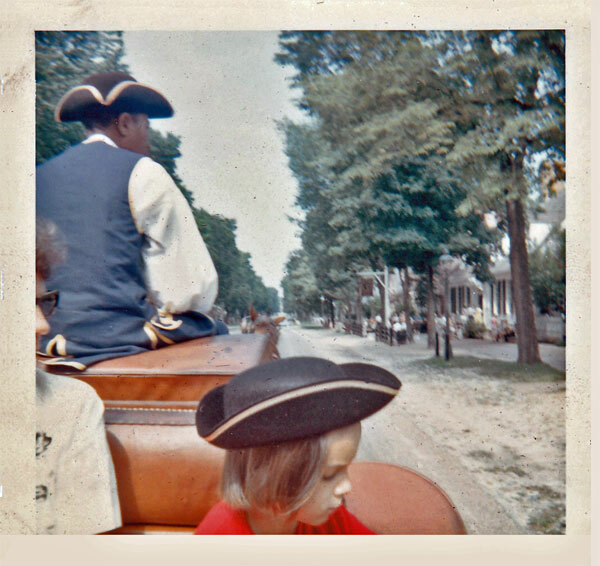 That’s me, taking a carriage ride at Williamsburg, about 1965. If you’ve read the original Caroline stories, have you ever wished you could actually meet her? When I was writing the first seven Caroline books, I often wished I could get a real peek at Sackets Harbor as it was during the War of 1812. Well, that’s the idea that inspired American Girl to create a new kind of adventure for their historical characters. Catch The Wind: My Journey With Caroline is a story I wrote about a modern girl who travels back in time and meets Caroline! Can you imagine what it would be like to suddenly find yourself in Sackets Harbor, New York, after the war started? How would you feel? What questions would you ask? And after you made friends with Caroline, what kind of adventures would you have? I had a lot of fun writing Catch The Wind. I hope you have just as much fun reading it! As some readers know, American Girl is giving the Caroline books, and books about their other historical characters, a new look. Here’s the scoop. The first six Caroline books will be repackaged as two longer volumes. Meet Caroline, Caroline’s Secret Message, and A Surprise For Caroline will be presented as Captain of the Ship: A Caroline Classic. 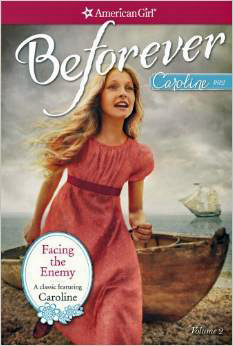 And Caroline Takes a Chance, Caroline’s Battle, and Changes for Caroline will be presented as Facing the Enemy: A Caroline Classic. Those titles will be released on August 28. 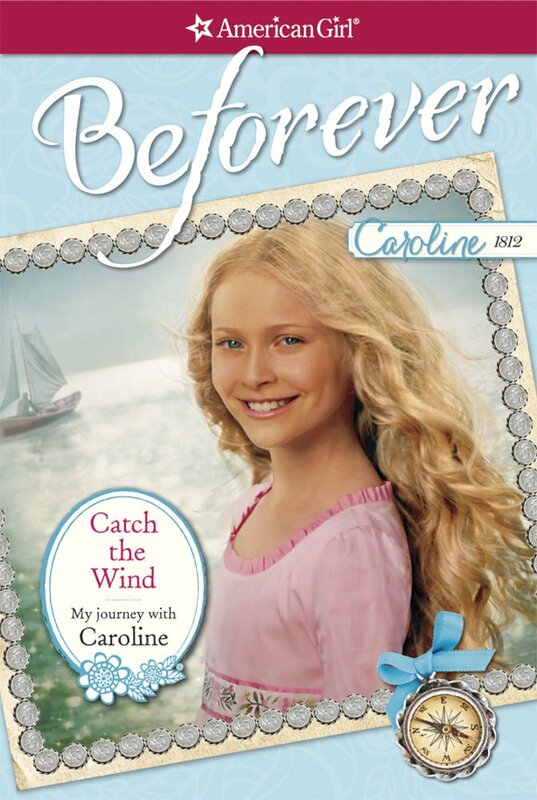 On the same day, American Girl will release my brand new Caroline book! Have you ever wished you could travel back in time and meet Caroline? A modern girl gets to do just that in Catch The Wind: My Journey With Caroline. What if you suddenly found yourself in Caroline’s world, right in the middle of the War of 1812? How would it feel to know your home is under attack—and how would you stay strong during such a scary time? Join Caroline on adventures where the two of you could find ways to help the Americans win, confront a possible spy, or even plunge headfirst into ice-cold Lake Ontario! Your journey back in time can take whatever twists and turns you choose, as you select from a variety of exciting options in this multiple-ending story. I’ll have lots more to share about Catch The Wind as the publication date draws closer. And as always, you can find information, photos, and behind-the-scenes news about the books on the American Girl page of my website. Happy reading!